She arrived on stage, creating a divine aura. Music accompanied. Her mudras and her movements held sway invoking the Almighty. The Devs and Devis descended on earth from Heaven. We experienced goose bumps, feeling the unseen energy all around. Her Kuchipudi nritya with her rhythmic gestures, her grace, and her soulful expressions in accordance with the music seemed to narrate a hundred stories within those few minutes. We were enthralled and mesmerized. We wished it continued on and on. And she held the mike and spoke. It was the biggest surprise in my life. She was a HE, not a SHE! Maybe I didn’t pay attention when her, I mean his name, was announced before the performance took place. He was Haleem Khan. Haleem Khan was invited to perform and speak at the Indic Thoughts Festival, a celebration of our Indic civilization, held in Goa from 17th to 18th December 2017. 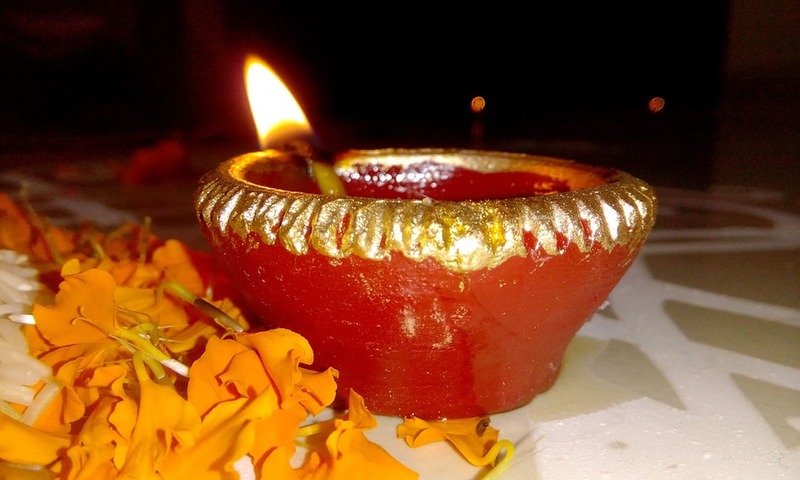 It was an overwhelming ardor of festive ecstasy, speaking volume about the strengths of our rich Indic culture and heritage and its successful adaptation to contemporary times through talks, oration, and performances. The event was organized by Indic Academy in association with India Foundation. Kuchipudi runs in the veins of Haleem Khan. He carries forward the legacy of this dance-drama performance art that has its roots in the ancient Hindu Sanskrit text of Natya Shastra. 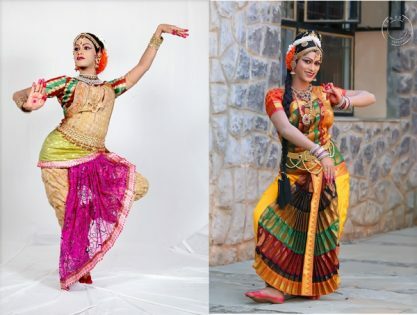 He specializes in Rupanurupam, the female impersonation, within Kuchipudi. He is well known for his performance of Bhama Kalapam on the story of Satyabhama, Krishna’s wife and various roles in Annamacharya kirtanas. He is breaking stereotypes, one step at a time. A born dancer, a natural performing artist, and movie actor, Haleem Khan has performed over 800 dance shows across the world besides conducting Kuchipudi workshops overseas. His dance, specially the female impersonation, has given him critical acclaim and won him many awards and felicitations. He has been featured by BBC, Times of India, Deccan Chronicle, and numerous other national and international media. Haleem is very passionate about preserving the art form; towards achieving this objective, he has been working within India and overseas. Haleem Khan hails from a Muslim family from a small town Ongole, Andhra Pradesh. It was the call of the Divine within him that fascinated him and made him feel passionate about Kuchipudi. Movies were his primary source of inspiration. He knew his parents would not allow him to learn. Initially he faced many difficulties in learning Kuchipudi without his family knowing of it. He was blessed by his guru, Shri Kaza Venkata Subramanyam, who spotted divine grace in him and gave guidance to his passion. Initially, he took the stage name of Hari and started performing, thus concealing his identity. Later, he retained his identity – Haleem Khan on stage. He currently lives in Hyderabad. He is innovative in his performances, which is well corroborated by his intertwining of poetry and music with dance, and fusing ballad with Kuchipudi in his stage performances. When on stage, he exposes myriad facets, effortlessly bringing out the aggression of Lord Shiva when he performs the Shiv Tandavam and likewise taking the audience inside a woman’s heart, romancing her man. Here is an excerpt of an interview of Haleem Khan taken by Manoshi Sinha, editor of My India My Glory e-magazine. Q. Your source of inspiration that made you fall in love with Kuchipudi. Haleem Khan: Dance to me is spirituality. Dance is the reason for my existence. It is my soul and it is the song that makes my heart sing. I live for dance and have dedicated my life to dance. I fell in love with dance, when I was 12. Living in a small town in Ongole in Andhra Pradesh, I wasn’t exposed too much. My life revolved around school, namaz and the Darga. And Performing Arts was something I hadn’t heard of, till one day Doordarshan featured a Kuchipudi performance and I was awestruck by the beauty of the dance form and I’ve been in love with it ever since. Q. It is said not everyone can master the art of a classical dance unless one is divinely connected to it. What is your experience with Kuchipudi? Haleem Khan: Yes, for some, the eternal, the divine blessing is an emotional bridge, that helps connect with the classical art forms. But when passion is connected with divinity, then it all comes through. It is then when the dancer’s divinity and dignity can be appreciated. Yes, God’s blessings and hard work have to go hand in hand, for the divinity to be seen. Q. 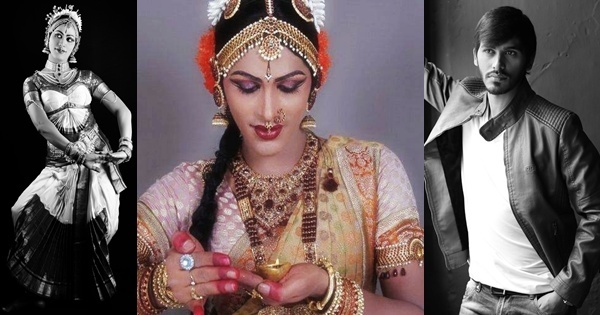 You represent the female impersonation within Kuchipudi. Any challenges that you face in this role, especially of a man in a woman’s world? 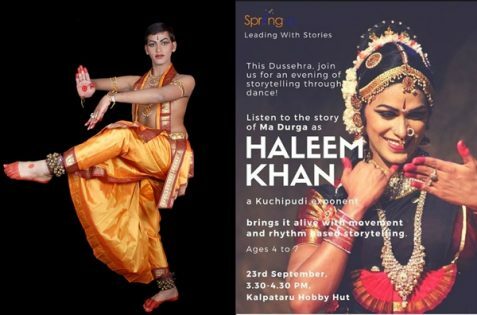 Haleem Khan: Female impersonation is a signature of Kuchipudi dance and not many people are comfortable doing this because of obvious reasons. First, male classical dancers are very quite few in numbers, and the impersonators are even fewer. 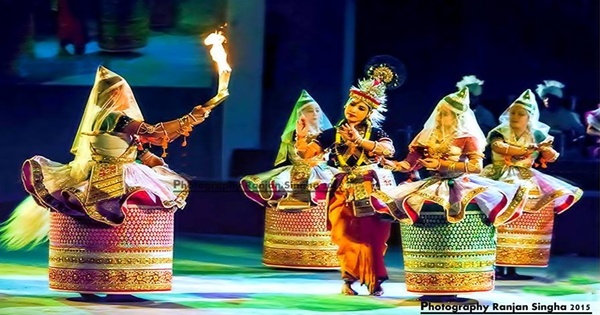 A few decades back people had at least some information about dance, music and theater, as this was then the source of entertainment and medium of spirituality too. But the current generation is changing rapidly, and they have little information about our culture and its values. Therefore when this generation watches me dance in a female attire, they think it is some sort of a stunt or funny. People hardly know the roots of Kuchipudi. That is why I would like to represent female impersonation widely. Not just that, whenever I get a chance to talk about it, I do. Female impersonation is a supreme test for an artist. As a male performer one has less reach to the organizers and to the top. To add to this I am a non-Hindu dancer. 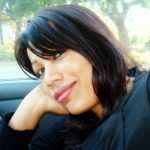 It is not just a woman’s world, but being a non Hindu makes it doubly difficult. Woman in a man’s world is called progressive but man in a woman’s world is called pathetic. Q. Being born in a Muslim family, learning Kuchipudi must have been very taxing. 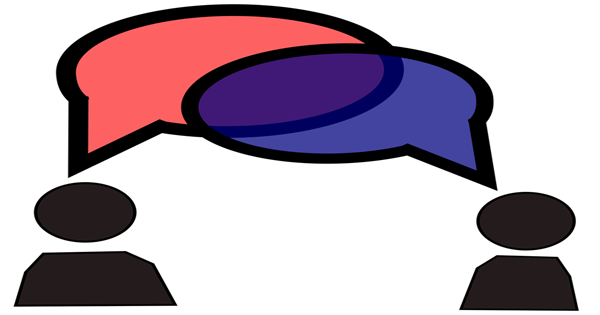 Please share with us the difficulties you have faced from the initial stage to present. Haleem Khan: The journey was never easy. I come from a traditional Indian family where a man has to earn the bread and butter for the family and is not expected to get swayed by Art forms. So, it was a journey that I had to start in secret. I learnt Kuchipudi with a dance teacher in my home town for 4 years and then moved to Hyderabad. Here I learnt dance and continued to do dance performances in the morning, while I went to work at night. Eight years of dancing without my family being aware of it was quite a challenge but I kept at it, because I believed it was my calling. Has the journey been easy? No, it was far from it! I thought dance was a celebration and it would be easy to showcase this skill. Yet my name and my gender often came in the way and I found myself in a ‘No Man’s Land’. Many doors have been closed on me. But, for every door that closed on me, I found another door open. I have created pathways and opportunities for myself. Being from a middle class family and being a dancer, finances were a hurdle. But I kept at dance despite all the noise around me to get back to a regular job which I quit in 2008. Q. Does your family support you? Haleem Khan: It took 18 years to make them realize that I am not committing any mistake. They are trying to support me, but the world of dance behaves the other way around! Q. How has the society around you reacted to your love for Kuchipudi? Haleem Khan: I chose dance and I did not bow down to religion. I also did not bow down to the prejudices of the society or to the pressures of money. My firm belief is that art makes you a better person, as it also makes a more sensitive and an empathetic person. Q. I have learnt you have changed your stage name to Hari. What led to the making of Hari and then back to Haleem again? Haleem Khan: During the eight years that I danced in secret, I had changed my name from Haleem to Hari! Till it dawned on me that I was doing no crime, I was in fact doing something that most people had forgotten or didn’t have the time for. Kuchipudi is steeped in Hindu Puranic History. And I would like to believe that it is an Indic Art form first, before it takes on the hue of any religion. But unfortunately, there is a perceived belief that if an art form is from a particular religion then only people from that religion are supposed to perform it. Q. A documentary film has been made on you. Can you please share with us about the Censor board cutting a scene that denoted worshipping of the Almighty of two different faiths? Haleem Khan: Yes, Sound of Dance is the documentary made on my journey in dance. I respect all religions and I have never felt one is superior to the other. I believe in Islam and equally respect Sri Ram. In my praying room, I have both Islamic images and also idols of Hindu Gods. During the filming of the documentary, a frame was used which showed my prayer room with images of both religions together. The censor board had an objection to these being together. They wanted this frame removed from the film. They perhaps felt that I was making a mistake by worshipping both religions. The censor board, after discussing with the director, convinced him to delete the frame. I my opinion, that was incorrect, as I feel that that I believe in both the religions and feel an equal part of these. Q. Any challenges that you face at present? Haleem Khan: For all this, I was mocked at by people on the high horse of culture. I was mocked at for being a man and dancing. I was mocked at for doing a woman’s impersonation. 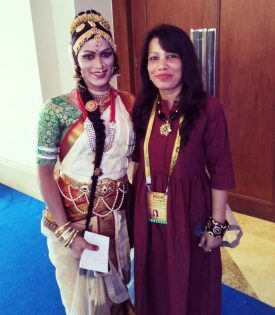 I took it all in my stride, as all I want to do is to take Kuchipudi to the people. Q. Your message to the readers. Haleem Khan: Over the last 50 years, fewer and fewer are learning to dance. To make up for this tremendous fall, the time is now to work together to keep our art forms alive, before it gets relegated to the museums. And how do we keep it alive? To keep it alive, we really need to start thinking beyond a particular religion. We can keep it alive by taking it to the people. Let people decide if they want to appreciate it or pursue it. And let us not make the mistake of not showcasing it. I very firmly believe that children are the flag bearers of our future, and I have had the pleasure of working with and creating over 400 dancers, with a thirst to do even more. I am a man with a mission. In 2018, I want to do a 50 City Tour across the globe to spread the Indic roots to children. I want to make this happen. Yet I realize that though I’m a soldier of my art form, and a soldier does not win a battle alone. He needs support and it is a collective journey. It is not always the government’s prerogative to do things. Each of us should take a step forward. It has been my personal experience that when communities take the prerogative to nurture an art form, it is always more powerful. My India My Glory salutes Haleem Khan for his passion for his art, his initiative to spread our Indic roots worldwide through Kuchipudi, and his positivism in taking every challenge that comes his way at ease.